Today's writing assignment in my #15DaysOfWritingTrue class asked me to unplug for thirty minutes today. I have written more about my wandering along EDSA last night in my Day 4 assignment, but I also wanted to experience some quiet time even if I did not have the luxury of taking a walk outside as I have already logged into the office. 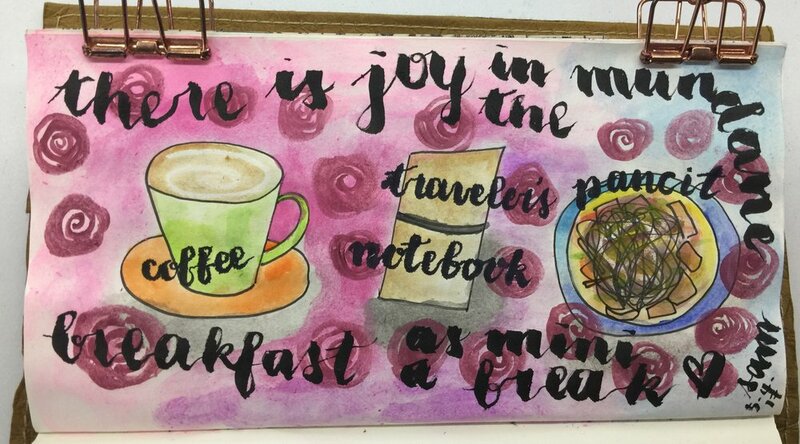 Good thing I had my art journal and paints with me. I have decided to just let go and paint. Having a conscious sense of being unplugged was wonderful. I ate my breakfast slowly, and sipped my coffee while reflecting on how bliss can be possible even in daily routine. It is in the ebb and flow of the hours and days that we can either be pushed to embark on challenges with bravery or be washed away by the current of stress and fatigue. Prior to taking my walk last night along EDSA and this morning's meaningful time-out, I was not aware that I was already experiencing burnout and fatigue from the daily commute, the summer heat, and everyday little things. This time of consciousness is much-needed because I realized that I am doing quite well after all and that it is in the mundane that I can be focused on my purpose in order to experience real joy every.single.day. 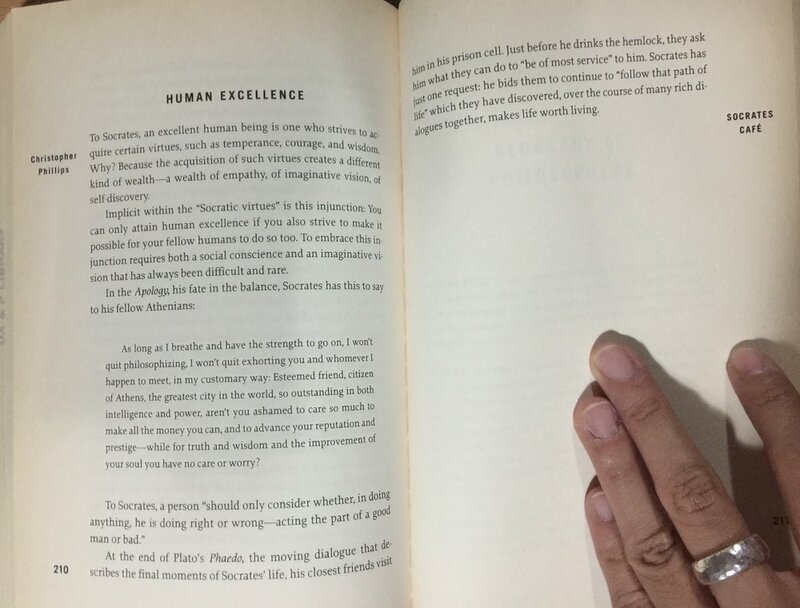 I have just finished reading Socrates Cafe by Christopher Phillips and I would like to share with you my favorite passages. May this inspire you to carry on and never give up on your sense of wonder. I hope you find your life worth living.